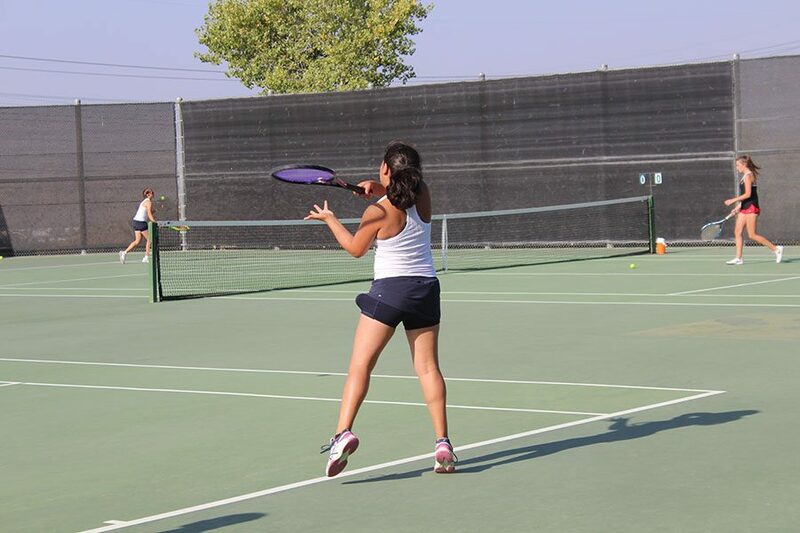 Yesterday, the Wildcat JV tennis team took on the Hart Indians in the most difficult games of the season. The Hart Indians have proven to be the Wildcats toughest challenge in league, but the JV Wildcats tried to stay positive and focus on the skills worked on in practice. “I think it’s going to be very tough because Hart is the biggest competitor […] I think we have prepared enough and are ready to break some hearts,” said sophomore captain Ariana Banerjee. The game started off strong with the Cats taking a demanding lead over the Indians 8-2. The Wildcats never lost their footing and only let the Indians win one more set before finally winning the game 15-3. Sophomore doubles team Ariana Banerjee and Kayla Halberstam played, crushing every single opponent they faced, before defeating their final opponent 7-5 in the last set before ending the game. Keep up the good work Cats!